Italian Federation Of Winter Sports. Ski AUDI TEAM SKI. Padded jacket Ski SPORT, unisex. SLIM FIT. Nylon fabric. Thermolite® 150gr. Waterproof 20000MM breathable 10000G. Zip closure water-repellent. Completely heat-sealed. Detachable hood. Multipockets with zip waterproof. Customizations team and embroidered logos. 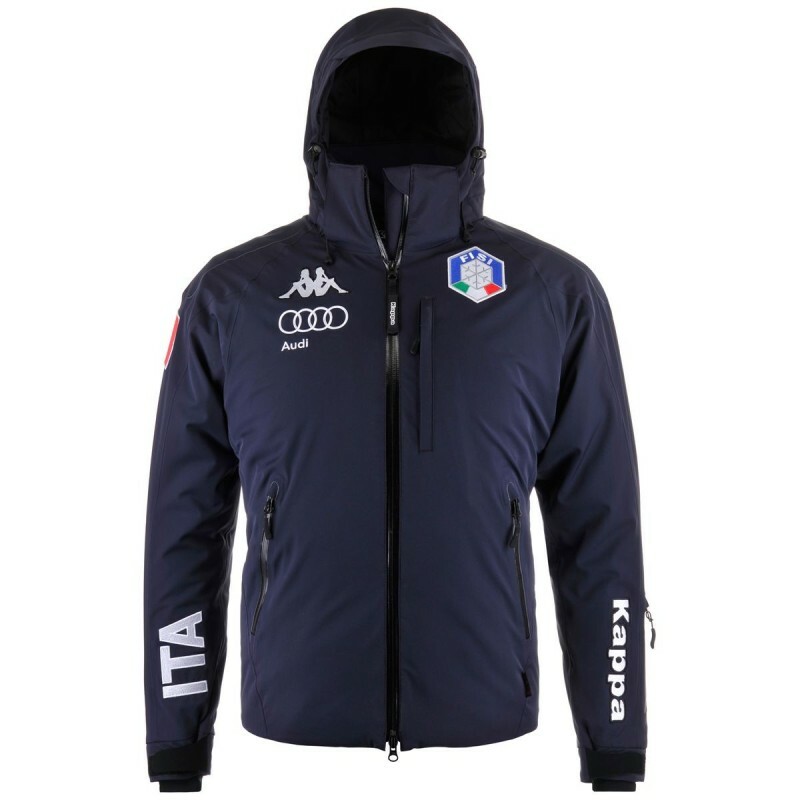 Kappa Jacket Ski National 302ZXL0 Blue color 966.